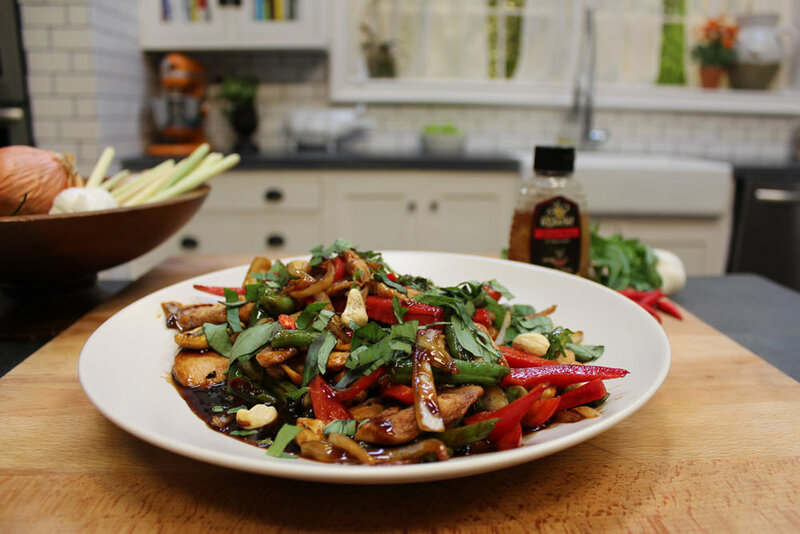 This healthy and quick stir fry has all the best flavor profiles, sweet, spicy, and salty. The sweet basil and five spice really adds a delicious flavor. This should take 2 – 3 minutes.